If you are one of the millions of people who go shopping on a regular basis - online, in supermarkets and especially on the High Street, you've probably heard of loyalty card schemes. Loyalty cards are also known by other names, such as advantage cards, reward cards, points cards or club cards and they are usually similar to a credit card in appearance - although in recent years, smaller, keyfob style cards have become more popular. As a holder of a loyalty card you are identified as being a member of the store loyalty program. The card will usually have a magnetic strip or chip that can hold information and can be scanned using the store till equipment. What are the benefits of being a loyalty card holder? A certain number of points are offered in return for a certain amount of money spent - i.e. you spend £1 and get 4 points on your card, which can then be saved up and redeemed against eligible items in store. So if in the example given above, you were to spend £30.00 on an eligible item, you would receive 120 points - equivalent to £1.20 cash to spend in the store. Alternatively some stores – especially supermarkets, may provide you with a card with which you save points and every quarter or six months they will reset your balance to zero and send you vouchers for the amount you have ‘earned’, which can be redeemed against either for specific items, or for ‘cash off’ the total value of your shopping. Lots of places will send members of their loyalty schemes discount or money off vouchers for certain items, or will have special ‘in-store’ discounts that you can only take advantage of if you have your loyalty card details with you. They may also hold special invite only ‘events’ where you can buy things at a reduced rate, or get to see a new line before it’s released to the public. What are the pitfalls with loyalty schemes? You need to find out before you sign up what the actual rates are. 4 points per £1 is one of the best rates around at the moment, but a lot of stores offer far less. Stores may also offer 'bonus points' on specific items (usually new lines) which change regularly. If you want to build up a high point total, then this type of ‘points for purchases’ card is most effective if you only shop in one store. This is because usually, the points reward is offset against slightly higher prices on certain items, so you pay a little more but you build up your points total faster. To get the best deal you need to figure out how much the reward points are worth in comparison to any extra you need to pay to buy the item through the loyalty scheme. Also check that any items you are buying are eligible - in some places medicine is exempt from loyalty points, as are various other items - so don't assume all your purchases will earn you rewards. It is important that you remember that loyalty cards are a clever form of marketing. They enhance the relationship between customer and store, and give the impression that the relationship is reciprocal, when in fact the customer usually pays a slightly higher price to begin with and unless they have great self control, will usually buy more than they actually 'went in' for in the first place. 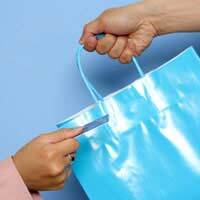 The loyalty scheme keeps the customer coming back and spending money in the store. There are discounts to be had, but to get the best out of your loyalty cards, you should still shop around, and only buy items that you would have bought anyway. In order to issue you with a loyalty card, the store will request information on you – firstly your demographic information, and then information on what purchases you make and how often - which you will usually agree to allow them to use internally - to conduct market research, and make sure that they are offering you the right kind of discounts and vouchers. In most cases you will be asked whether or not you agree to allow the store to pass on your information to 'relevant' third parties. If you don't want your information shared, make sure you tick or untick the box - whichever is applicable (make sure you read the form properly, some seem to be designed to confuse you! ).